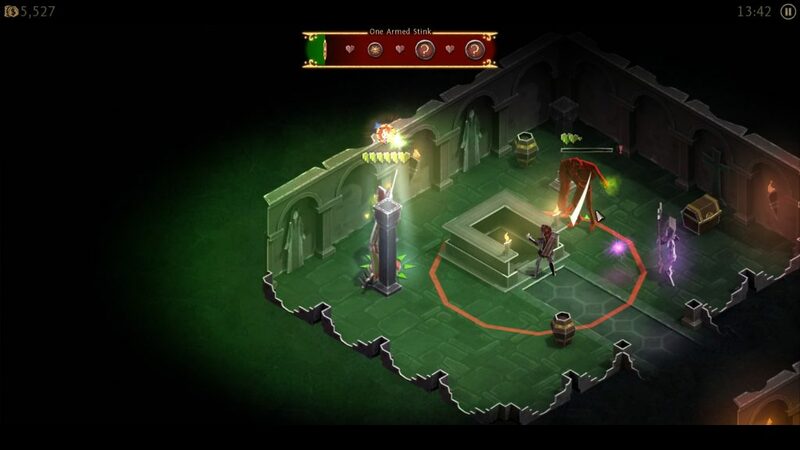 Last time I looked at Book of Demons, I wasn’t terribly impressed. Despite there being more content now in the game… I am, sadly, still not impressed. In fact, I feel rather annoyed. Why? Whoppers, among other things. No, not whoppers in the sense of big lies. Whoppers, in this context, being skeletons. Skeletons that I’ve come to hate for their two, linked abilities: Summoning monsters when hit, and being invulnerable for a short period… When hit. Each enemy, individually, is weak. But when not letting enemies get close enough to wallop you is a valued survival strategy, Whoppers are a big middle finger. A good example of a Whopper being a massive jerk. Time to take damage! To recap a little before I continue: Book of Demons is part of a planned franchise called the Paperverse, recreating older games with a more casual style to them. 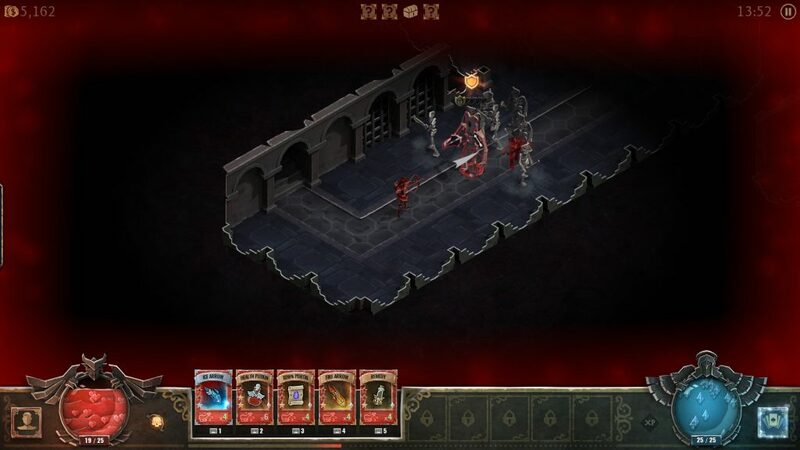 In the case of Book of Demons, that’s Diablo, right down to the sanctimonious priest, Deckard Cain lookalike, and even some of the bosses (Who have been renamed, but are still clearly The Butcher, The Fallen Priest, and, of course, Diablo, Lord of Terror.) What does more casual mean in this case? Restricted movement along set paths (which monsters can block. Easily), and making it so that while you auto-attack, if you handle it like a clicker, you attack faster, and do more damage. Mouse over money and items to pick them up (Occasionally left clicking.) 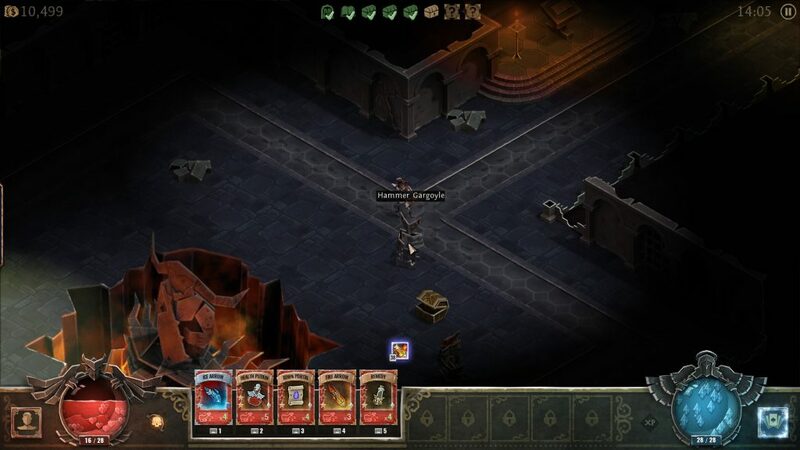 Number keys or right clicking for item use (preferably the former), right clicking to use spells or special abilities. The problem being, this restriction along fixed paths is still, a lot of the time, a massive pain in the neck, and creates some frustratingly nasty encounters. I have yet, in the current Rogue playthrough, to die (Which is a point in its favour difficulty wise… For the Rogue), but oh boy, have I gotten angry. Oh look, going through this door into a restricted room with poison enemies has landed me… Past the poison enemies, who blocked my way out. Welp, time to take damage for no reason other than being blocked off! Seeing as none of these monsters will leave this room, most of them have poison AoEs on death, and *one* of them will rage, heal, and poison burst if I smack it too quickly… Time to take damage! In a way, that I’m even frustrated with the Rogue (who, unlike the Warrior of my last playthrough, has ranged abilities as standard) is somewhat of a testament, honestly. Archers and mages can snipe me from well out of my normal range (so shift clicking to attack out of my normal range is mandatory), and invulnerability tricks to increase difficulty abound, from shielded enemies (invulnerable to everything except poison until you break the shield by… Hammering the left mouse button on the shield until it breaks) to Mages being invulnerable while they cast spells. Which, call me old fashioned, is kind of against the spirit of mages, who tend a lot of other places to forget their complex magical formulae due to being walloped, or at least can be hurt while they’re summoning all enemies in the area to my location, getting ready to… Hem me in again. Time to take damage! Some enemies you can’t actually kill anything but slowly, because they heal and burst fire when damaged rapidly. Gargoyles can’t be damaged at all in statue mode, and heal if you let them go back to it… Not to mention that I know you’re an enemy, gargoyle. I’ve killed a hundred of you up to this point. Just sodding turn into a gargoyle already, and save me waiting. I know you’re not a statue, I can see words over your head. GET ON WITH IT. Writing wise, it hasn’t improved at all. The Fortune Teller is still a terrible stereotype, mocked and hated by every other character except the Barmaid, who… Hey, Barmaid, I remember that time when, hey Barmaid, I remember that time when… Her dialogue gets ever so slightly repetitive, for all that there isn’t all that much of it. I wouldn’t be minding so much if it was an interesting world, or had anything but its papercraft aesthetic to back it up, but… No. Aesthetically, it looks alright. Mechanically, enemies rapidly become types that are more tedious than challenging, that don’t give satisfaction when killed, because you just know that there’s more Whoppers ahead, or Mages, or things that just… Won’t… Sodding… Die without damage. There are now three base classes (Warrior, hits things; Priest, casts things; Rogue, hits things from afar) , but, in the end, the core play makes finding what makes each tick and unappealing prospect. The Mad Welshman doesn’t remember Diablo having that much mandatory damage. Then again, he also doesn’t remember getting hemmed in much either. Price: Planned to be free to play, but Early Access buy in ranges from £30 to £72. Microtransaction currency £6 and up, and yes, you will end up with spare currency. Monster hunting is fun. And honestly, up until the announcement of MonHun World, there really hadn’t been enough of it on PC. So when I was informed of a game that’s planned to be Free to Play, with an Early Access buy in, I bought in. What I’ve found has me conflicted. 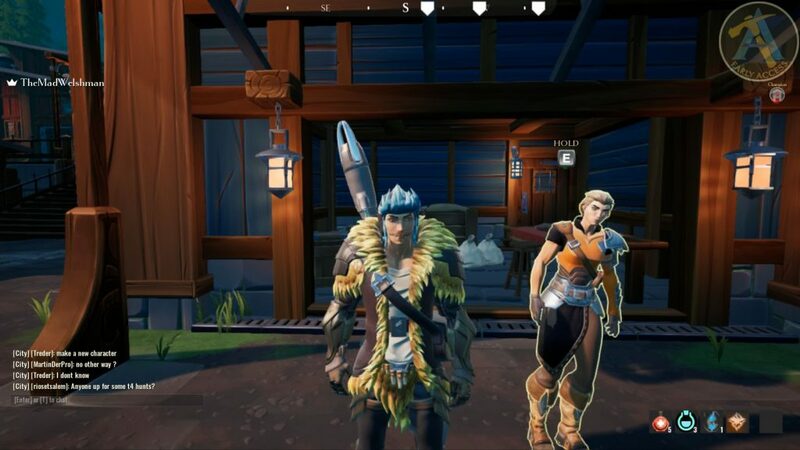 Dauntless is, at the present stage, a very streamlined game, almost minimalist. But also with the second currency (The F2P’s main income) already implemented and balanced around. It’s… An odd feeling. Let’s start with the actual hunting. There are three things on the island: Resources (One item per resource spot, for potions, lanterns, and other useful gubbins you’re going to need), goats (Contain, as with resource spots, one item, but can also ram you if you annoy them), and the Monster. Monster Hunter fans will already be scratching their heads: Wait, what about areas? What about wildlife, what about? Nope. You (plural or singular.) And the monster. Ramsgate is filled with people to talk to, quests to consider, things to buy or make, but once you’re there, it’s you and the monster. Successfully kill the monster in the 30 minute time limit, and you get resources, especially if you broke parts from it. Fail, and you get bupkiss. Nothing. Zilch. And you’re out of whatever resources you used. There are plans on the roadmap to make the world a little more thriving, but that’s very much a wait and see thing. 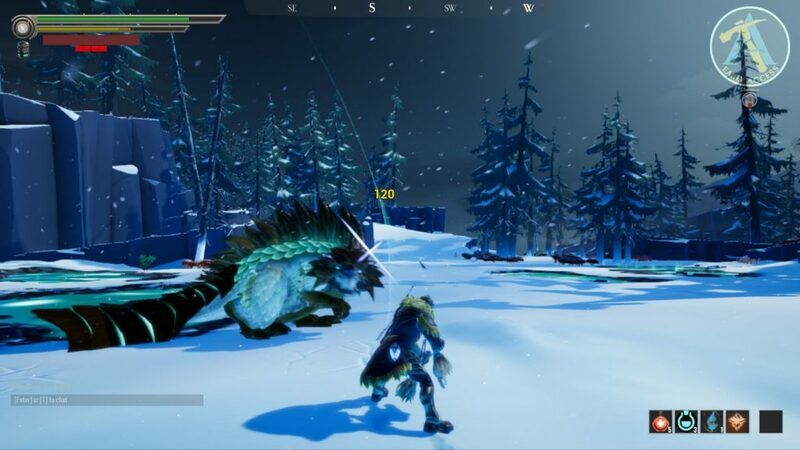 It’s a little more than that, of course, as you have, at the time of writing, five weapon types to choose from, but this minimalist approach is what sticks out the most with Dauntless. That, and the resources. 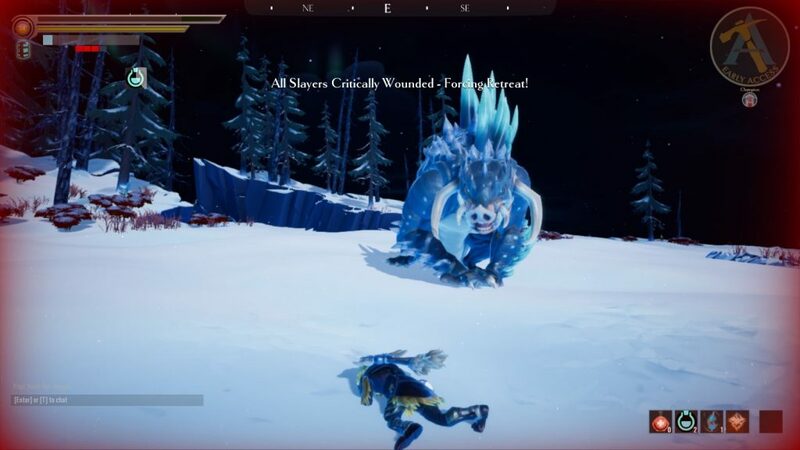 Streamlining, similarly, has hit Dauntless’ crafting, and nearly every monster based item requires precisely one kind of resource, that only drops on the “Normal” (read: Group recommended) monsters: Their skins. Or nails, or claws… What’s important here is that it’s a single resource, and, generally speaking, you get up to three of them. And if you don’t get them, you get Archonite, some mysterious, Plotanium substance that is also used in crafting, er… Everything of substance, from weapons, to armour, to lanterns with special abilities. This, in essence, is its biggest problem, really. In a real sense, it’s too streamlined, to the point where hunting the monsters in question is so very core that it’s the be all and end all, and for that to be sustainable, the monsters have to stay interesting, or players have to be moved onto new monsters, new experiences, quickly. On the one hand, the mid poly aesthetic works for the game. On the other DAMMIT I AM WHIPPING YOU IN THE FACE, REACT! Sadly, neither happens. It’s interesting to compare with other monster hunting games, because it’s taken me a few hours to move up to the next tier of armour, whereas elsewhere… That few hours, I’m usually a few armours in, and experimenting. Once the parts from a monster have been hunted, well, going back to them feels a bit pointless, and once you know their tricks, there’s nothing in the world to add spice to the fights, with combat feeling limited in impact. Sure, numbers come up, but staggering is an occasional thing, interrupting rush attacks a matter of excellent timing on a heavy attack (even then, you may get damaged), and…. Well, the fact that once a creature’s armour and weapons have been crafted, there’s no incentive to come back feels part of why, with the “weaker” monsters, I have trouble finding folks to fight them with. After a fairly early point, yes, finding folks to fight them with, or, more accurately, divide the monster’s attention is pretty much mandatory. When they hit, they hit hard, and learning weapons becomes a pain when you have a triple hit point jump between the first hunting area and the second. As such, having someone, anyone else to lighten the load feels extremely important, if not, as I’ve said, mandatory. Hunting solo, unless over-equipped, is a very bad idea. This will be your inevitable result. And no, you get jack and squat for collecting things beforehand. Right now, Dauntless feels like it’s in an awkward place right now. It’s trying to streamline, but not all of that streamlining is good. 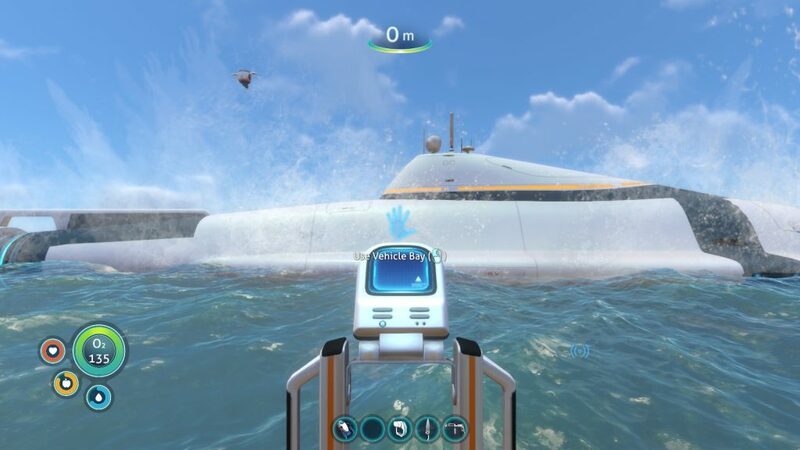 It’s free to play, and as such, has microtransactions to feed it once it’s out in the wild (As well as, during Early Access, Founders Packs of three tiers), and, minnow that I am, I’m genuinely not sure how impactful they are right now, but the grindiness is definitely there. 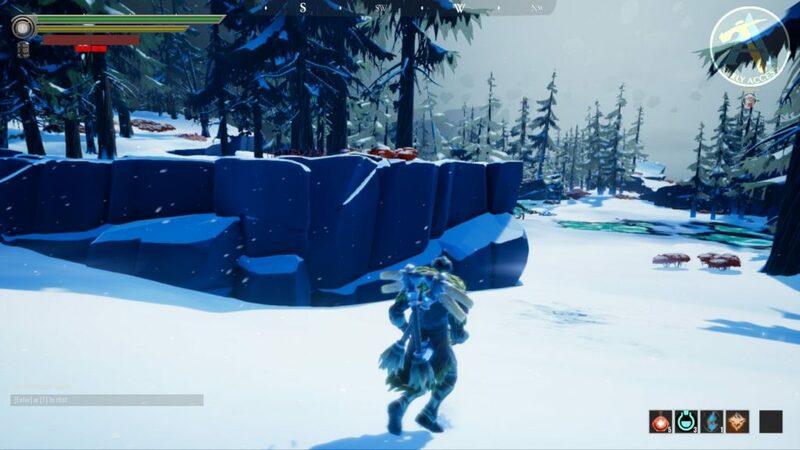 The worlds are an interesting idea that works with the Monster Hunting genre’s general map design philosophy, but currently feel rather empty, with little beyond need to recommend exploration, and the monsters… Well, they’re there. The Mad Welshman doesn’t have a lot to add this time. He’s busy recuperating from the porking he got before the review. Okay, so this isn’t entirely true, but a lot of people remember it that way, and DUSK? Tickles that nostalgia gland. Looking for a nuanced protagonist? Nope, you are a shootman. You shoot, and you shoot, and you shoot some more, because folks and creatures who are most likely evil want to shoot you. Puzzles? Sort of, if by puzzles, you mean finding walls that look suspicious, blowing them up, or finding switches to open them, and, of course, the hunt for up to three colour coded keys you need, Red generally being last. The satisfaction of both a job well done, and the possibility of the last key nearby. Honestly, even if Dusk wasn’t quite my cup of blood (and it is), I would appreciate the sheer commitment to aesthetic. The world is low poly and grungy, everything is chunky, and while there’s no need to reload, hitting the time honoured R key will spin your weapons in a cool way that vaguely looks like somebody reloading stylishly. Similarly, the music is hard, dark, and fitting with the grimdark sort-of-plot that Dusk has. Namely, evil experiments, a cult of worshippers who need stopping, and teleportation experiments. If that seems familiar, yes, it’s hammering together elements of Quake, Blood, and Doom in ways that, honestly? Don’t have to make sense. There is no fall damage, so feel free to look awesome as you drop from the sky raining explosive death. 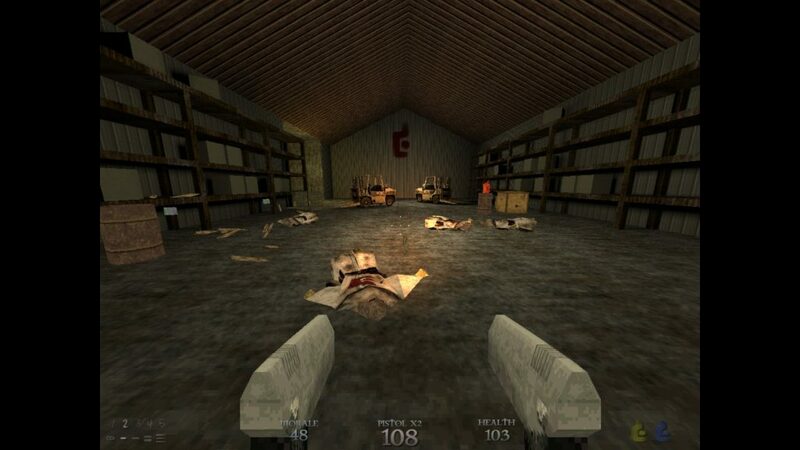 So far, I’ve been quite complimentary, but it mustn’t be said that Dusk takes only fun lessons from 90s shooters. Bosses aren’t too challenging, beyond the fact that they have boodles of life and do a lot of damage if they hit. Some of the levels (Looking at you in particular, The Steamworks!) are dark and mazelike for the sake of being dark and mazelike, and are a sod to navigate, even for a 90s style shooter. Homing attacks from some enemies are annoying, even as they add a dimension to the combat style the game wants you to be playing with: Always moving. The weaker weapons are all dual wield capable. The shotguns, in particular, are a joy to use. Still, so far, I like Dusk Episodes 1 and 2. Since the game is episodic, I can quite happily cover these two episodes separately as actual reviews, and the third when it comes out as its own thing. 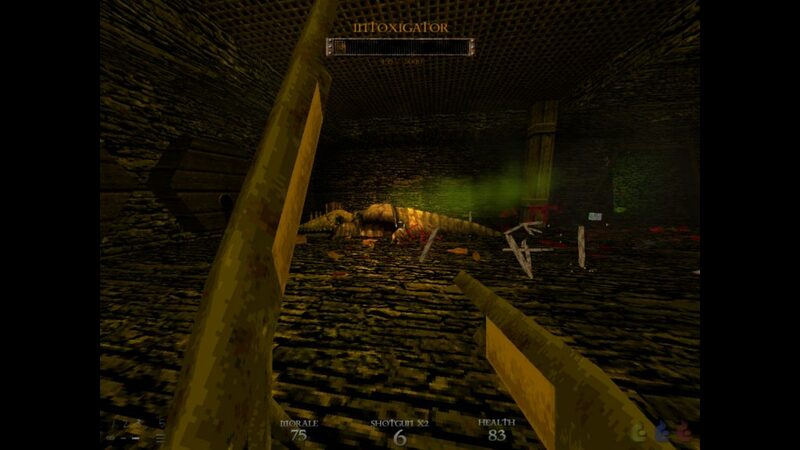 The gunplay is a surprisingly clever game of resource management, as, while using a hunting rifle on mooks is entertaining, you’re probably going to need that ammo for more dangerous enemies, and the pistols see use pretty much throughout. In the end, Dusk is an entertaining throwback to the days of swearing at your CONFIG.SYS and AUTOEXEC.BAT , without all that swearing and asking why the hell you have to reboot your computer because a game doesn’t like what you put as your HIMEM, and with a few design lessons of the modern day thrown in. If you like love letters to Ye Olde Days of Gibbing, that Tarnished Golden Age, then yes, Dusk is worth a go. It even preconfigures the Soundboomer card correctly. Bloody magic, that is. Commitment to aesthetic, thy name is [Clicking and whirring as of a struggling 486DX hard drive]. As you might guess, that’s somewhat hard to pronounce for anyone who isn’t a 90s kid. The Mad Welshman is pleased. The portals work. People forget, I think, how many possible ways there are of making a multiplayer experience single player. They also forget that sometimes this can be quite tough. AI companions require extra code, extra thought. A checkpoint based auto companion can feel very samey, but cuts down on the work. Updated skills and lobby interface? Yes, please! Hacktag has gone for something a little more old fashioned, but it’s interesting to note how it changes the game: Split-screen, swappable solo. One keyboard, two characters, and you’re switching between the perspective of both. How is it? Challenging! 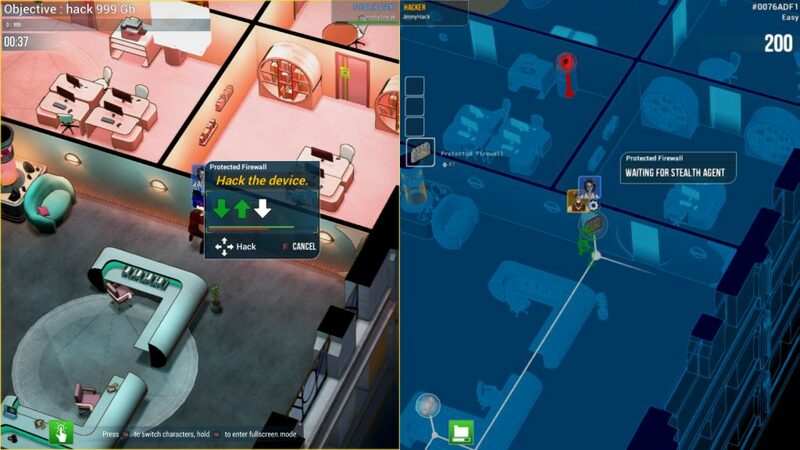 With multiplayer, the other player is able to spot and avoid threats just fine on their own. The only times you worry about them is when they screw up and get caught, when you screw up and need to be rescued, or when you both need to be at the same place for the dual hacks. 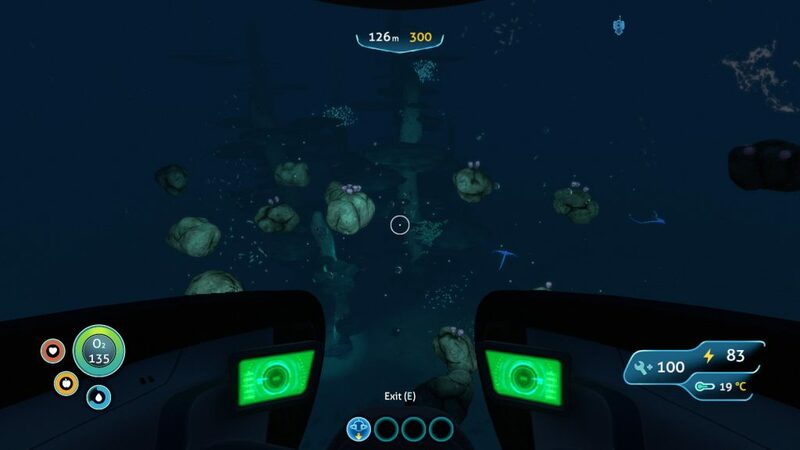 With singleplayer? Ahh, there’s the rub. Because whether you’re on split screen or full screen perspective for each character, once you switch characters, the other is helpless, and so, timing becomes much more important. As do safe zones. As such, it’s both a more challenging, and, at the present stage at least, frustrating experience. In the middle of a dual hack when bam, guard. Stealthing to the next safe point, but… Crap, antivirus. It’s got a lot of planning to it, that’s to be sure. AAAaaaaAAA! There are also new objectives. Now… AaaaAAAAaaaaAAa!!! Nonetheless, if that were the only change at this stage, rough as it is, I’d be happy. 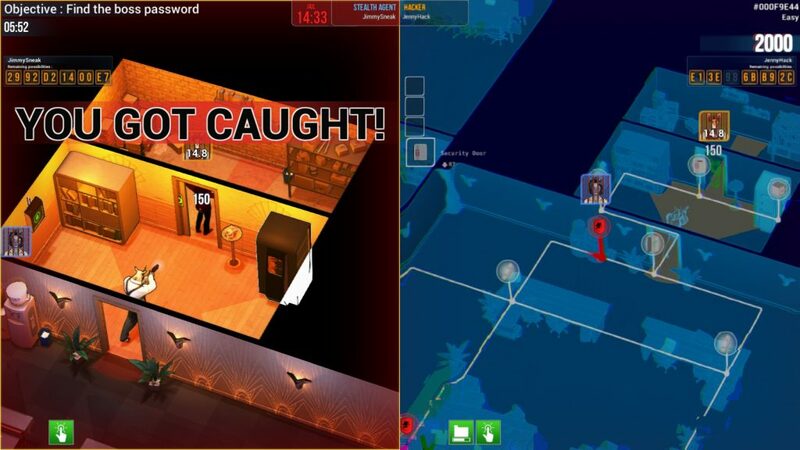 But the general experience has improved as well, with more types of event, rejiggered minigames for hacking and stealthing, and… Traps. 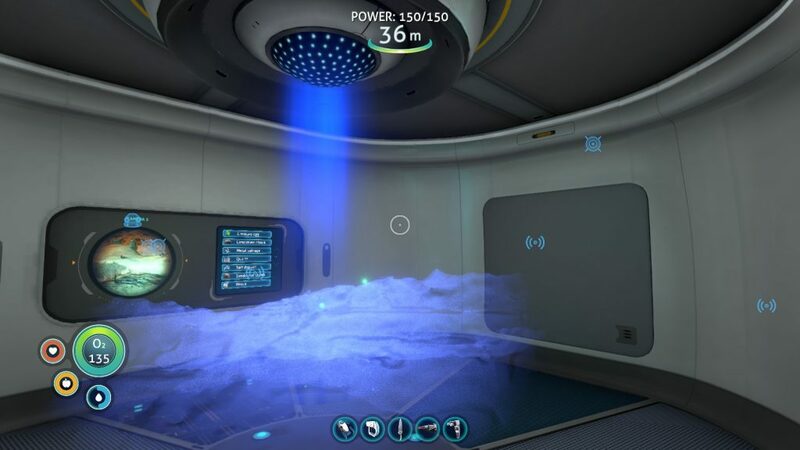 Sometimes, it’ll be the standard “There is an alarm, get to it and disable it before it goes off.” Sometimes, it’ll be a laser grid, to be avoided in either hacker or stealth mode until the timer runs out. What’s nice about that one is that it varies depending on who triggers it, a clever touch that swings things a little back toward parity between stealth and hacking play. 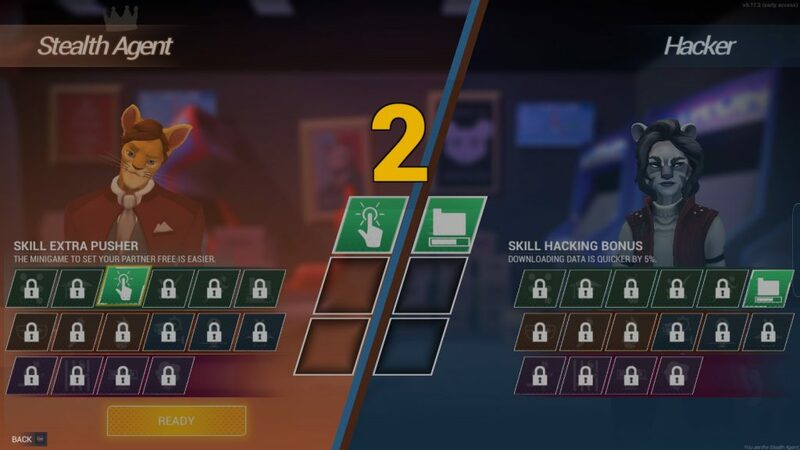 The competitive score with co-operative play remains (And seems to now firmly be a part of the vision), but skills and cosmetics have also been improved, so levelling up gives a broader depth of rewards, and now, should your heart desire, you can be one of a small multitude of anthropomorphic animal cat burglars. Go you! So, on the whole, the potential of Hacktag is really shaping up. Good co-op play can tough out even the meanest of missions, be it local or multiplayer, solo play is there for those of us who like planning (and also acknowledge that a plan never survives contact with the enemy), and, even aesthetically, there’s a little more variation. There are still some bugs and glitches, but they are, at the present time, relatively minor, so, overall, I guess I’ll leave you with the denouement of this episode of Hacktag. Solo *does* have the option of switching between fullscreen perspectives, but… Nah, not risking it! The Mad Welshman recommends this and many other games… Because they’re video-games. And all your friends are playing them.